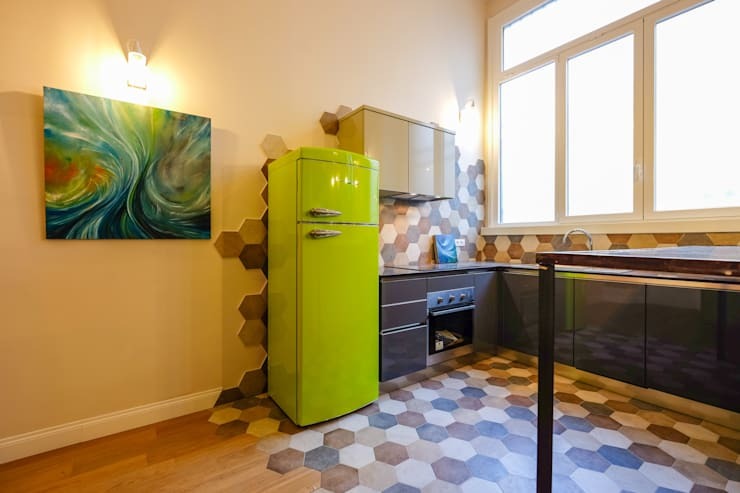 Have you run out of ideas to remodel your kitchen? Well, don't worry the team at homify have you covered. In this feature, we look at 7 awesome DIY tips and tricks that can upgrade your kitchen, making it easier to store everything from groceries and crockery to utensils. Our interior designers incorporated ideas to enhance creativity and ingenuity making your kitchen eye-catching and attractive again, whether it's sleek and modern, chic minimalist or rustic loving. Let's inspire you with lovely illumination, simple layout and chic neutral colours! It's amazing what some brilliant lighting can do to enhance a kitchen, LED lights are a great addition to any interior, highlighting the space beneath cabinets, while the modern design and all-white countertops are perfect for a small space. 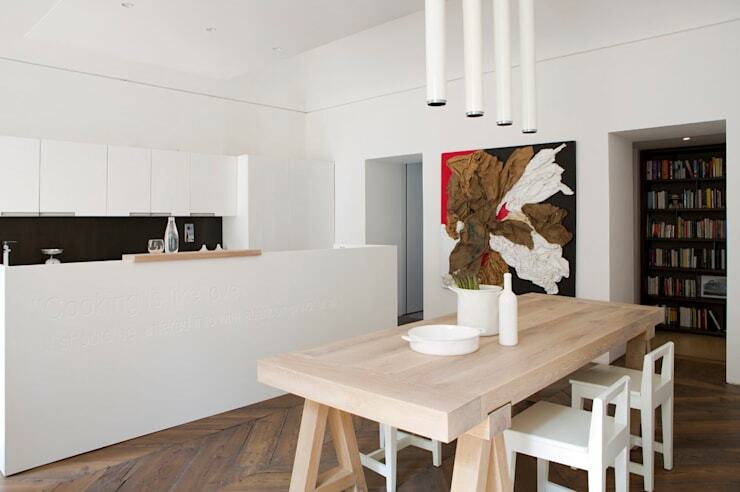 A minimalist kitchen can be striking too, especially when lighter wooden furniture is accompanied with all-white storage. Don't forget to add some personality with a vibrant eye-catching print against the wall. This one definitely stands out for its simplicity. 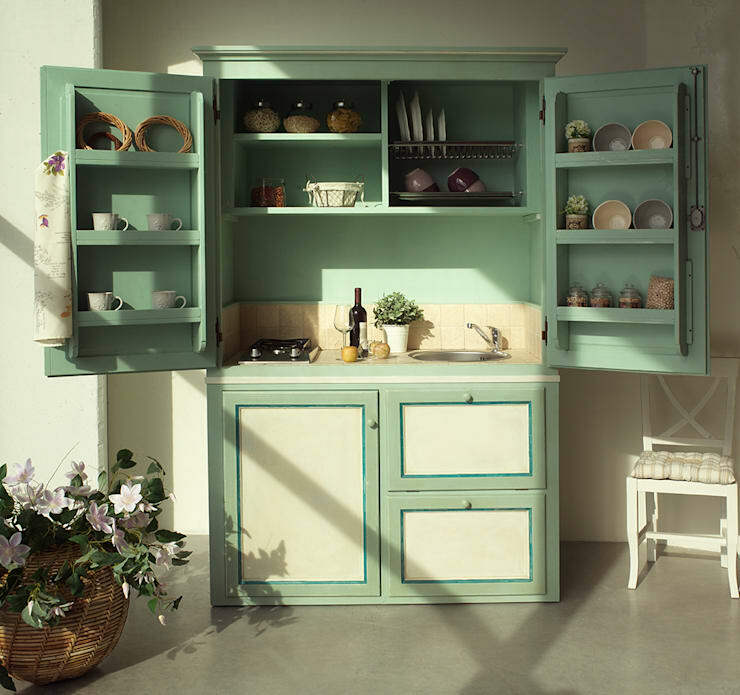 Bespoke decor or antique elements are essential in a rustic kitchen, it may be time to consider restoring that old storage unit from your grandma's kitchen for that vintage feature that is traditional and trendy too. 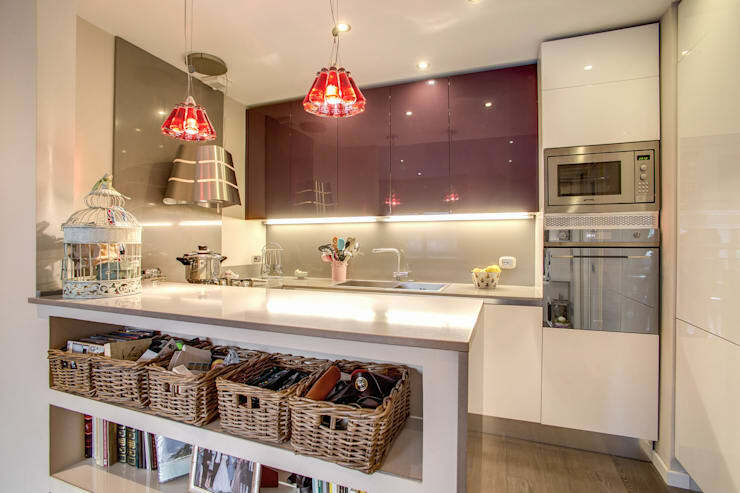 Red may be daring for some, but it could also make your kitchen a funky and quirky space that exudes energy, passion and character. 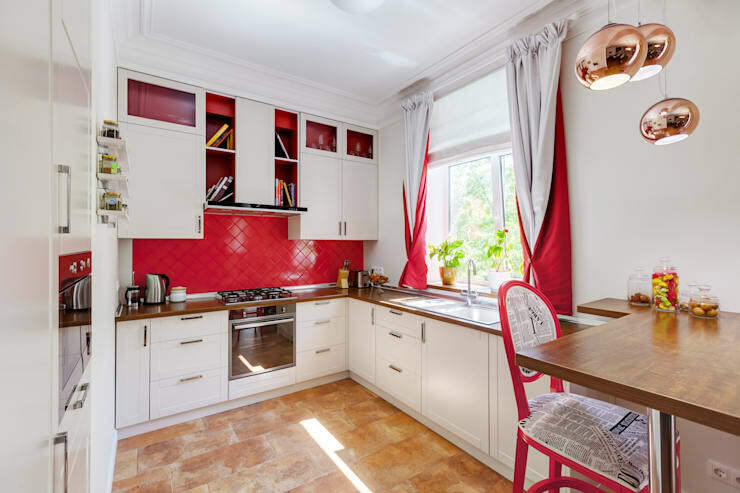 Pair the red tiles with a white farmstyle cabinet design and add flowing curtains, tablecloths and old-fashioned tableware for that authentic look. 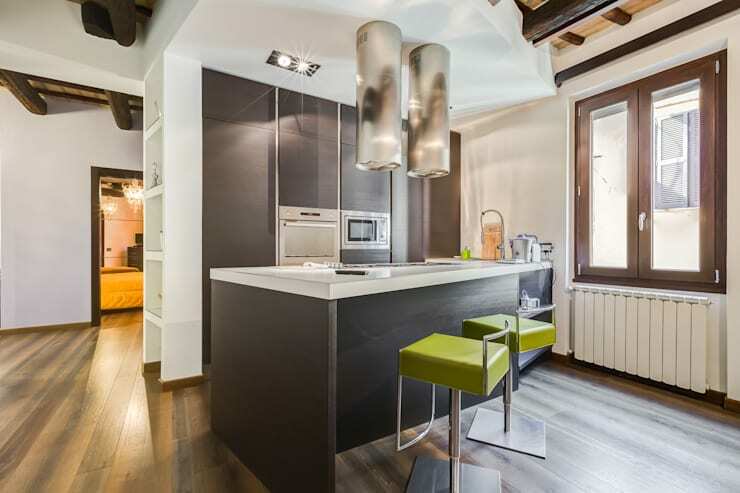 Consider functionality and practically when planning furniture and layout, especially in a kitchen. 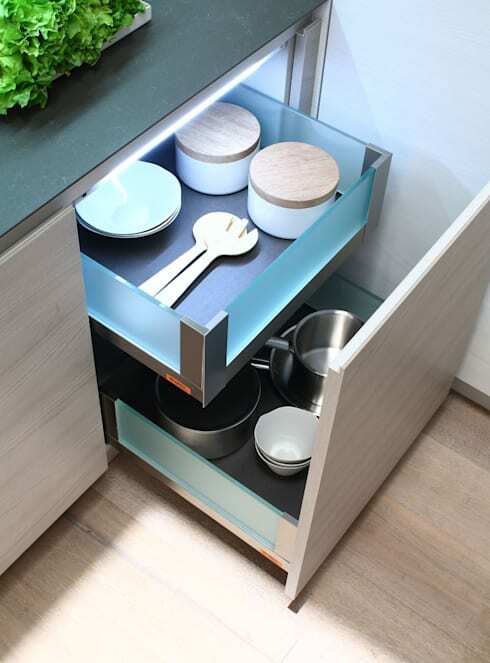 Search for ideas that make your utensils, spaces and counters easy to clean and maintain, renew those worn out cabinets by applying this modern design and replace the wooden drawers with metal and glass. This kitchen may look as though it was drawn from a cartoon, but it's the wooden mosaic tiles that will instantly upgrade your space, and it's easy to install and maintain, making it an awesome choice for the flooring and even as a splashback. What idea are you including in your kitchen?